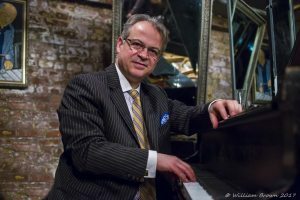 Antonio Ciacca Orchestra was founded in 2009 in order to perform original songs and songs from Italian-American song books rearranged by Ciacca himself. In 2009 he made his debut at the Miami College of Ohio recording a CD with an exceptional soloist, the maestro Benny Golson. In 2010 they performed at the Dizzy’s Club Coca-Cola in New York with a repertoire of only original pieces by maestro Ciacca. Antonio Ciacca Orchestra performed in several Jazz Festivals and performs regularly in New York jazzclubs. 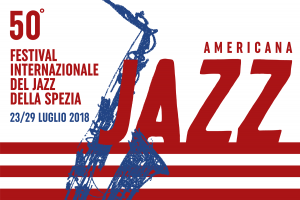 Antonio Ciacca Orchestra will debut in Italy at La Spezia Jazz Festival with Maestro Ciacca’s premiere “MLK Suite” dedicated to Martin Luther King. The composition is divided into five movements, each written on texts by Martin Luther, Martin Luther King and Ciacca himself. The sound of the classic big band is assured by the first alto and already member of Ellington Orchestra: Andy Farber. To embellish the performance there will be the presence of the journalist of the “Republica”: Federico Rampini, who will read some features of the famous speach of Reverend King. The second part of the concert will have a special guest: Benny Golson.